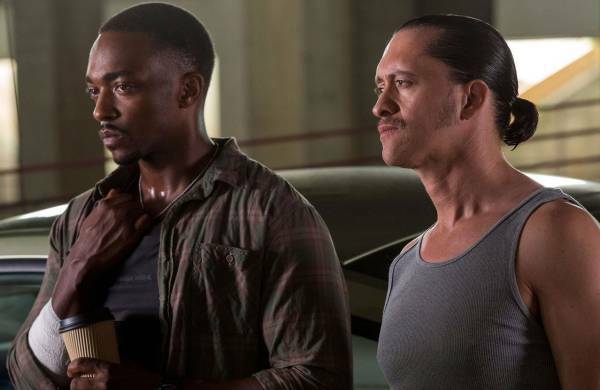 Director John Hillcoat’s Triple 9 is presented with the visual authenticity and urban squalor depicted in the acclaimed cable cop show The Wire, but it lacks the depth of the HBO series. Triple is glutted with brilliant action, continuous pain and never lets up on rolling-heads and teeth-gritting violence. All these guys are very tough … and crooked as a barrel of snakes, especially some of the cops. I thought about Ferguson, Missouri after seeing this picture that has only one main character you can give a damn about … and not a lot for him either. That’s officer Chris Allen (Casey Affleck) a married dad and ex-Marine. Just like Casey is off screen, Chris is awesomely cool and seemingly rather detached. He ain’t no angel, but he’s not murdering folks and just being a thug with a weird gang of Russian Jews lady-bossed by Irina Vaslov, played by Kate Winslet, either. Yes, I said Kate Winslet, who seems to speak with a fairly consistent Russian accent and has obviously broadened her role repertoire doing Irina. 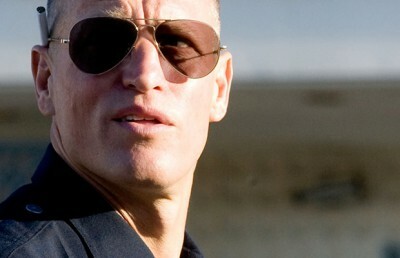 Other characters you can’t care about are played by proven actors as well; to name a few: Chiwetel Ejiofor, bad cop; Aaron Paul, “de-badged” cop; Anthony Mackie, yet another bad cop and old Woody Harrelson, the Sergeant Detective boss who’s pretty much not a bad cop, but he does do lots of drugs and gives great comic relief after humongous conflict scenes that you’d swear have lasted at least a half hour. Acting in this baby is quite high-quality, like the production values that are relentlessly amended with percussively pulsing music and cracks of gunfire in ugly venues where bullets whine. Up till now, I’m fortunate to have not been involved in open military combat, so I wonder about guys who have, and how Triple 9 might affect them. It must surely be a movie that could work them into some dark emotions. I hope not, but such is now commonplace. Besides the Alamo to remember, there’s also Aurora and Lafayette. Aaron Paul, “Walter White’s” assistant “meth chef” in Breaking Bad, spends more time splayed on the floor of the set where his scenes are shot either writhing in pain or just plain dead. After his good job on cable television with Bryan Cranston. I hoped for a better part for Paul. Woody Harrelson does his really great Woody Harrelson for this photo play. Nobody does Woody like Woody, except maybe for Kevin Spacey. When the Wood Man’s in a scene, all other actors in front of the camera are in the “back seat” of the patrol car, so to speak. 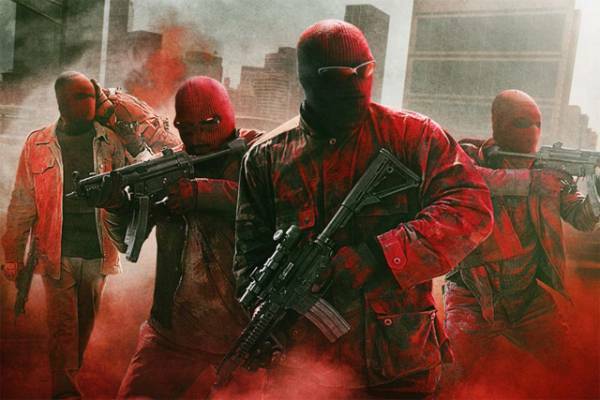 The “testosteronics” for Triple 9 are given in maximum doses. Something, maybe, one ought not get hooked on so much.